I feel like I get more and more excited about the holidays as the years go by. It’s filled with holiday cheer, beautiful decor, delicious food, acts of kindness, etc. As I’ve gotten older, one of the things I look forward to the most is getting all the kids in my life involved and making them love the holidays just as much as I do! Thats why I’ve rounded up some of the cutest crafts you can do with all those kiddies in your life so you can get them in the holiday spirit too! This craft as dual purpose, its fun to make and fun to play with! Kids can keep this around all December long to play with. Make it even more fun by having a craft party, that way the kids can play with each other. Gives them something to do and the final product is so darn cute! This craft is so darn original. I love the stain glass affect! This is surely a piece that you’ll want to have hanging on your fridge through out the holidays. Make a date by playing a fun holiday movie on the TV as you craft together. Your kids will have fun getting messy and you’ll be keeping them busy for hours! 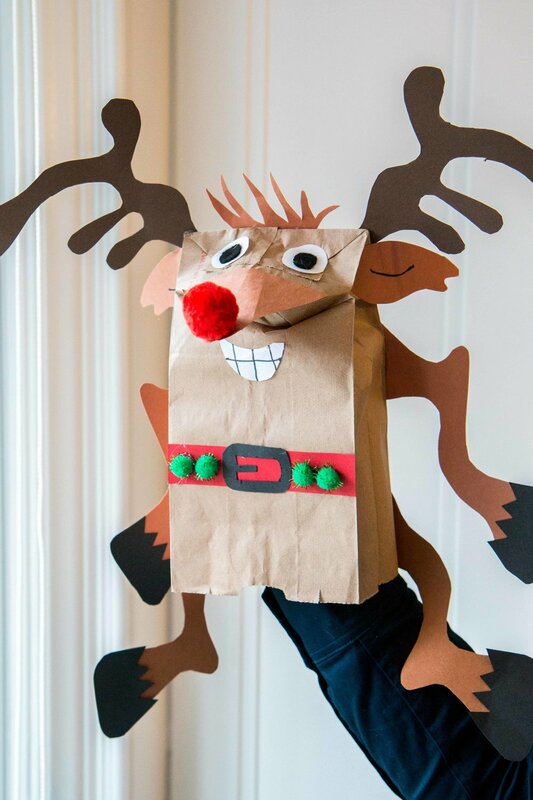 Similar to the reindeer puppet, this is a craft that your kids can enjoy for more than just a day! What makes it even better is that the backing is done with a wooden spoon so its allows for a little more ware and tare, which as we all know is very important around young children. To add a little extra personalization, try using markers or glitter to give your Santa some fun flair. Now this one I love because it involves one of the my newest favorite holiday treats - Latkes! Seri introduced me to them last year before Hanukkah and I have been craving them ever since. 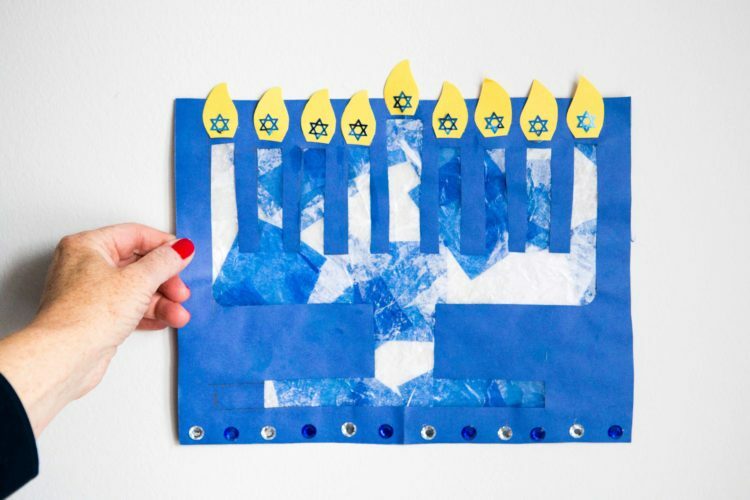 This craft is so easy because you can use materials you already have in your home! As we all know the holidays get a bit crazed, but if you do get a chance to make any of these crafts make sure to tag us in your pictures! We love seeing how your kids made them their own.